It's been a long road but the new album is completed. It's called INTERSTATE DFF. It should be available on CD and online this Spring. I've been working on my next album for the past year and it's getting real close to being finished. Working at Byrd House Recording in South Austin. 8 songs sounding great promising to be my best work yet! Read this great review of the Two Angels CD from the "Muse's Muse"
3 unofficial SX** shows coming up.. It's another New Year. Best wishes for a healthy, happy New Year to all! Friday, January 7 10:00- 11:30 CD Party at MOMO's 618 W 6th St., Austin,TX...also on the bill: Low Expectations 8:00 and Tyagaja Midnite! Saturday, January 15 7:00-9:00 Live at Tom's Tabooley 2928 Guapalupe St. The CD Release Party will be held Sunday, October 24 4:30 at the Spider House Bar and Cafe in Austin, Texas.CD Release Party @ The Spider House, Austin, TX We'll be performing on the patio, a real nice location for an outdoor show. Join Debra and I as we perform all the songs from Two Angels live. July 2010 Had a great time in California. Shows in Petaluma and Willits went great. Hiking in the redwoods was fantastic. Upcoming show at Applebee's in North Austin, Friday August 6. First time playing there. Finished recording 11 songs that will comprise my next album. Great time recording at The Zone in Dripping Springs. Jamie Oldaker producing and playing drums. Mike Morgan and Pat Manske tracking and mixing. Getting ready to master the tracks and let the world hear it! Got to use a variety of instruments including 12 string acoustic, electric guitars, bass, Hammond Organ, Banjo, Pedal Steel, Electric Sitar, Harmonica, and Ram's Horn! I'm contributing a version of Sky Saxon's "Just A Dance" for the upcoming tribute project on GRA Recordings. Very happy with the result and hoping Sky would be happy with our effort. Much thanks to Sabrina Saxon for her encouragement and help. Got to play with Dale Watson's band at his weekly Monday night show at The Continental Club in Austin, TX..Dale let me stand in with his band and I wowed the crowd with a smoking version of Buck Owen's "I've Got A Tiger By The Tail". Special thanks to Dale for letting me take the mic and use his custom amp, that night. Recorded 2 new songs at The Zone in Dripping Springs, TX. Jamie Oldaker producing and playing drums. Click on the icon to hear the new single "Another New Year"
I've been spending some time getting back into my sitar and pedal steel guitar playing. The acoustic shows are going real well and the 12 string is ringing real nicely. Strings..Strings..Strings...lots of 'em! New songs have been simmering. Had some choice out of town shows in NYC and Nashville. New recordings in pre-production. Excited about my recent and upcoming debut shows at some great Austin locations. Ross' Cafe, Cafe Mundi, and Ski Shores. Danny's song "Pray For Rain received an Honorable Mention from Mike Pinder's bandwars contest on songwars.net. Danny has been a fan of the Moody Blues for a long time and is honored to receive the accolade from Mike, the original keyboard player for the Moody Blues. Upcoming show on Tuesday, March 17 from 7:30-11:30 pm at SHELLERS BARRELHOUSE BAR at the HYATT CONFERENCE CENTER in Lost Pines, TX..its located between Austin and Bastrop off of Hwy 71 a little ways past the airport. Free, come and enjoy the scenery and music. 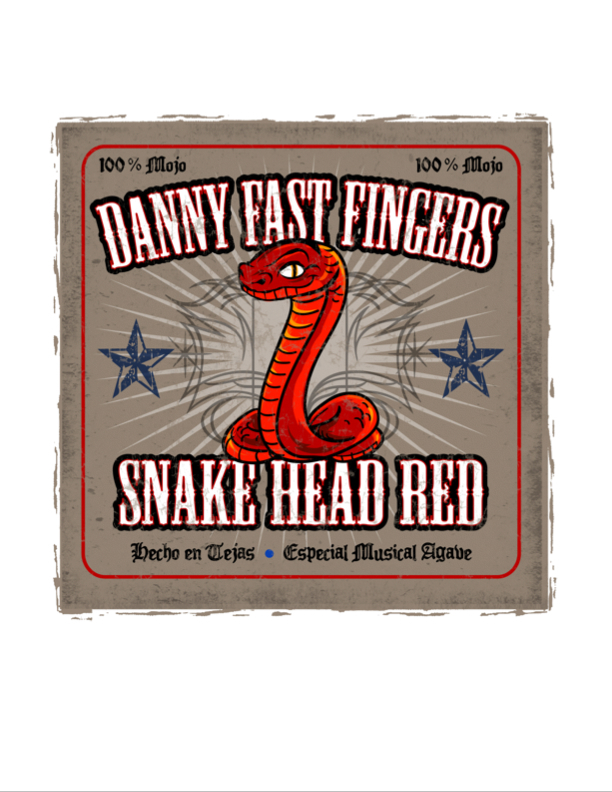 Catch Danny Fast Fingers Band at the (512) Brewing Company's Spring Open House on Saturday March 21. Time: 2-5pm. The event will feature beer sampling and the introduction of (512)'s ALT beer. 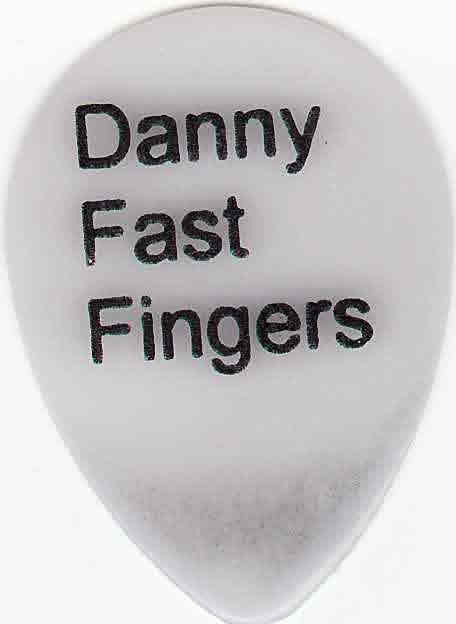 Live music brought to you by Danny Fast Fingers and band. The live show/interview on BRYAN CITY LIMITS went great. Thanks to Hugh Gallagher of KEOS 89.1 for having us on the air! On Friday February 6, at 9:00 pm we will be featured on the radio show "BRYAN CITY LIMITS" on KEOS 89.1 broadcast from Bryan /College Station. Tune in if you can. Debra and I will be interviewed and perform live in the studio. Don't Worry Go To Happy Hour....Next show on Thursday September 18 at MOMO'S In Austin. Free Happy Hour. The following night, Friday September 19 we'll be in Bastrop at Grace Miller's Restaurant.. Check the gigs section for upcoming shows after that. The CD Release Party at MOMOS was great. There wasn't an empty seat in the house, We played songs from Snake Head Red. Everyone dug the music, the pizza from Frank and Angies, and the Snake Head Red cake from HEB. Thanks to Betty Soo for facilitating the event and thanks to all of you who came down to watch the show as well as all of you who bought the new CD and T-shirts. The official Snake Head Red CD Release Party will be at MOMOS on January 31, 2008. Pre show party at 7:30. Music from 8:00 to 8:45. Saturday Night December 15 Danny will be at Waterloo Ice House in Austin. This will be an acoustic show with Debra Parr on bass. Wednesday December 19, Danny will be at HILL'S CAFE in Austin . This will also be an acoustic show with Debra on bass. Thursday December 20 , Danny will be at POODIES in Spicewood to cap off this momentous week. Come to one or all of these show :) The new cd will be available.